What are your favorite ways to monetize your site? In this post, I’m going to share what works for me and hopefully these insights are going to help you increase your blog revenue. Affiliate marketing is one of the most lucrative methods to monetize a website. However, there is a big difference in making a few sales in years or earning a steady monthly revenue just from affiliate programs. Here I share a few tips that are going to help you. Be sure to choosing the right partners and writing amazing content to promote their products or services. Remember the key rule: you need to help your audience, instead of selling to them. This way, you will be right on your way to earning as an affiliate marketer. Finally, use the right tools, like MBP Ninja Affiliate plugin, which is going to make your work much easier. Basically, it helps to manage all your affiliate links under one single dashboard, making simple to add them every time you create new content. Or WP Product plugin, which allows you to create nice graphics with different options for your reviews and offers you a fast and easy way to add different interesting functionalities to your blog content. This is probably one of the most popular ways to monetize a blog. Sponsored posts are articles commissioned by third parties (typically advertisers, or agencies), where you review their products or services. When you reach a certain level of popularity, you are going to receive more opportunities of sponsored posts. But be aware of choosing just the most relevant to your content and your audience, without over selling your site. BuySellAds is the most popular network for selling ads, but they are really picky when reviewing websites to accept to their marketplace. Once your site is approved by BuySellAds, selling ads will become much easier, thanks to their popularity and their network of advertisers. However, if still you don’t quality, I can give you a few alternatives to BSA. This is probably the most lucrative method to build a revenue online: selling your own products or services. You can create an eBook, a guide, a membership site, a video tutorial, a course on Udemy! 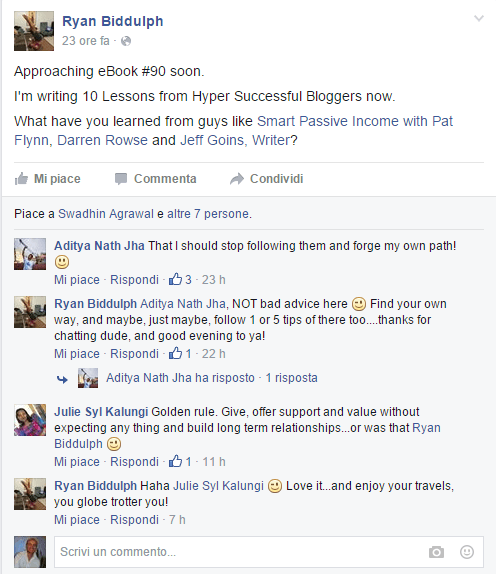 Take inspiration from my friend Ryan, he’s writing his eBook #90, to be sold on Amazon. Ryan is a writing machine! Or you can sell your services, for example WordPress assistance or freelance writing services (like I do on ErikEmanuelli.com). I hope some of the resources mentioned above will help you make more money online and let you build a steady income with your blog. Do you have some other sites that can help bloggers make money? What do you think of the ones mentioned in the post? Please share your views in the comments below, thanks! Your post is so timely as over the past few weeks I’ve started Sponsored Content on my site. I have to say, I love it! Not just because of the income, but because it brings a bit more flare to my site with a diversity of topics from a different voice. I know a lot of people frown on sponsored content, but I don’t. I’ve also started trying Google Adsense, although I’m not sure how much I like that. You shared some new sites above so I’ll definitely be checking those out as well. good to hear you started accepting sponsored posts on your blog. Have you checked the resources I mentioned in this article? Hope you are going to find new opportunities there! Let me know if you need any hints. Thanks for commenting and sharing the post, Brenda. Well, I want to say that all above discussed methods are very lucrative. But still, I like sponsored posts and affiliate marketing. Also, I must say that every point is well-explained here. After reading this post, there are no chances to enquire anything. Thanks for sharing such an informational post. Thanks for sharing your views, Nitin! Blog monetization comes to mind when one is transiting from the level of using a blog as hobby to a business. There are different ways to achieve this, luckily these 4 ways are among the most effective ways one can apply. Your ability to make money with any of the methods shared depends on putting efforts to create values that would be useful to blog visitors. If visitors see value in a blog then it becomes easier to reward the site owner irrespective of the monetization method used. I believe our efforts should be well repaid, via blog monetization. Of course, you need to pay attention to not over sell your traffic and audience,or you can soon lose them all! Thanks for checking the post, have a good one! Glad to see your post on effective way monetize your blog. There are many different ways to generate money with your website online. Interesting. I need these tips. Glad I found them. Important tips for Monetize a blog. If we properly monetize our blog we are success. Thanks for your tips and i apply this method in my professional life. You just barely scratch the surface on different ways to make money through your blog. But these 4 ways are enough to make the money that you want. I primarily do Affiliate Marketing and sometimes it’s hard to keep up with my affiliate links. I will have to check out the plugins that you suggested to get better organized! Thanks for sharing! Have a great week! but yes, there are many more. Glad you enjoyed the reading and that you discovered some new plugins to use with your online activities. have a good rest of this week. I hope the resources mentioned in this post are going to help you make the most out of your blog. I don’t use any of these sites just yet. But I am thinking of them for the future. More so selling my own product, so this post does come in handy. I was not aware there was an affiliate pluggin – how interesting. I enjoyed your post not because I understand how it really works, but will investigate in the future. Thanks for sharing some of the sites that I can look into to increase my knowledge in the area of making money. if you are going to sell your own product, that is the best way to monetize your audience. But anyway, bookmark the resources mentioned in this post, you are probably going to test them in future. Thanks for visiting and commenting! Both affiliate marketing and selling your own services are perhaps the most lucrative ways, and I recommend it to all aspiring bloggers and writers out there. I actually had to forward your post to my readers to remind them how important blog monetization is,. especially if you strive to work from home full time. Also, there are so many different ways to use the methods you mentioned. PPC, CPM, pay-per-download, audio advertising (John Lee Dumas comes to mind) among others. You name it! Thanks for always posting amazing stuff, Erik! Thank you, Michael, for adding those. Hey Erik! Long time since I’ve visited you here. I hope all is going well. Like many others I started out going the affiliate marketing route, but over time more and more of my income has been coming from my own products and services I’ve created. I agree that it’s probably the most lucrative way to monetize a blog. When you create your own product, you really go from blog to business. Ryan is a great example. When I first started following him I don’t believe he had anything for sale – and well, he has nearly 100 books now. It’s clearly working for him! Good to see you again here. Yes, selling your own products and services is indeed the most lucrative way to monetize a blog. Ryan is a writing machine. I think he has a gift, plus, practice really helps! Thanks for visiting and commenting, James. Well you have shared some nice ways through which one can monetize our blogs or websites. Indeed their are numerous authentic ways but the most lucrative ways are monetizing your blog through Google Adsense or Affiliate marketing. glad you enjoyed the reading. Each of these methods can be very lucrative, but it really depends on your site traffic, topic, audience, etc. 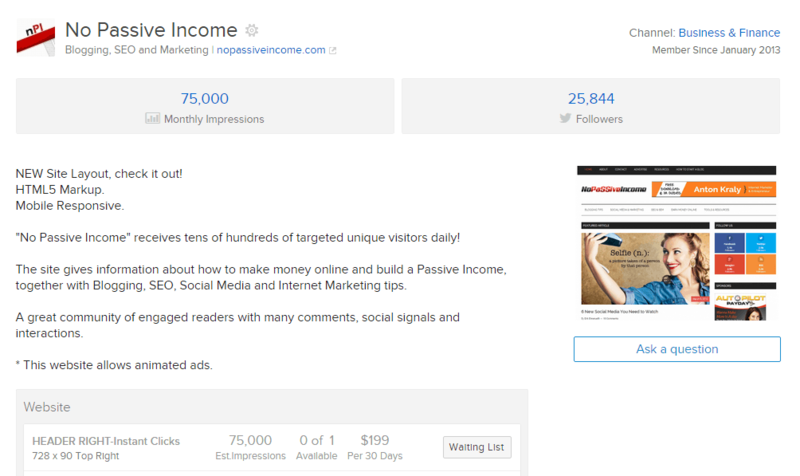 I find Adsense the most basic monetization solution, but yes, you can still make money using it. Thanks for checking the post and for leaving your feedback. Wow, thanks so much for the mention!! I love writing and I also love freeing my audience, so I churn ’em out. I dig each of the other tips too; I accept sponsored posts and if an ad is a good fit, I will place it. You surely are the “Writing Machine”, Ryan. thanks for visiting and commenting. Good luck with your blog! You have listed the popular ways of making money in a blog. I have tried affiliate marketing and it is an interesting activity. I am also working on having sponsored posts. Hope you are doing well with your blog. I’m heading there right now. All the four ways are the most effective ways to monetize a blog and well tested by the top money bloggers. 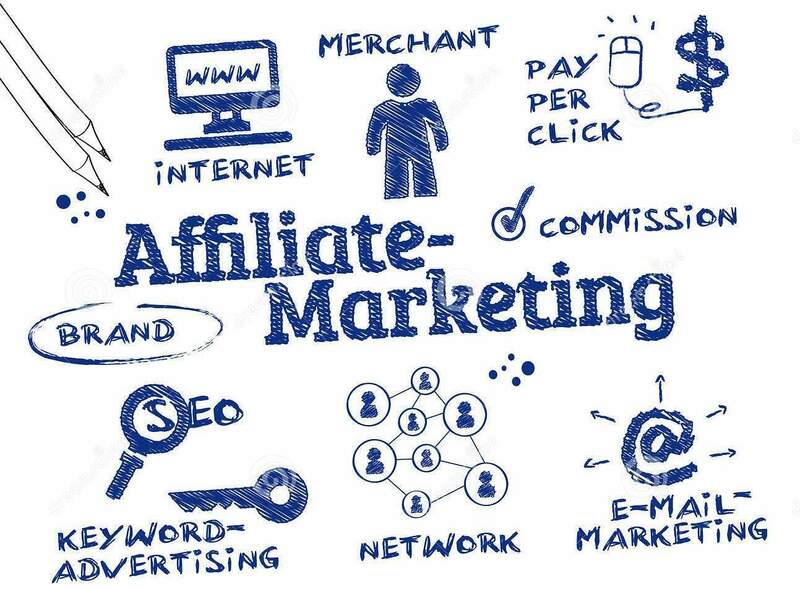 Every one has his own choice according to his niche and level of authority as many great bloggers are earning huge with affiliate marketing while those believing in passive income try to earn with PPC type of ads. The last one “selling your own product” is most effective for those who first build their own blog community and then easily sell a series of their products without much ado. Thanks a lot for sharing this lovely post on blog monetization. I hope things are going very good on your side. Glad you enjoyed the article and that you confirm the points mentioned. Thanks for stopping by and leaving your views. Have a great rest of this week. Thanks for sharing these 4 awesome ways to make money with a blog. Blogging have a great potential and can make thousands of dollars for you But, you have to choose the right path wisely. I personally recommend to never Prioritize readership over revenue. Affiliate Marketing and Selling your Own products on your blog, was one of the most popular ways to earn money from your blog. Sponsor posts were also very famous among bloggers but you have to choose wisely that which content you are going to share with your readers. Never Publish low-quality sponsor posts with your blog readers, because it can hurt the trust of your blog readers. In that case, I like Affiliate Marketing and Selling own Products. You’re right to put your readers first, and then monetization in second place. But you need to find the good balance. I’ve seen so many bloggers quitting after months or years of great efforts, only because they have not got the right monetary compensation in return. Thanks for commenting and for sharing, really appreciated! Best post I’ve seen explaining this issue! I explain this to every beginning blogger that contacts me about how to make money with their blog. Thank you so much for the kind words, Rahul. I was in trouble that which technique i should use for my blog for monetize it then i get your blog and i am really to get so much information in it. Thank you for teaching new bie like me. Glad to have you helped, Rohan.